Leah Hogsten | The Salt Lake Tribune Utah Utes wide receiver Raelon Singleton (11) tries to make the catch on the Utes last play of the game. University of Washington Huskies defeated University of Utah Utes 31-24 at Rice-Eccles Stadium, Saturday, October 29, 2016. This week’s release of the AP Top 25 drove home the point that the Utah Utes have the most attractive home football schedule in school history. No. 6 Washington, No. 15 USC and No. 24 Oregon are coming to Rice-Eccles Stadium. Arizona is No. 31 overall, using the others-receiving-votes category, and in-state opponents Weber State and BYU bookend the schedule. The Utes also hosted Washington, USC, Arizona and Oregon in 2016, but the Wildcats and Ducks were not as good as they'll be this year – never mind that Oregon upset the Utes. In any case, it should Utah received enough votes to be ranked No. 28. If they beat Weber State, Northern Illinois and Washington in their first three games, the Utes undoubtedly will move well inside the Top 25. The AP's Ralph D. Russo pointed out that Utah five times has started the season outside the Top 25 and ended up being ranked in the final poll. With the Washington game booked for an 8 p.m. kickoff Sept. 15, the Utes have made that their annual “Blackout” game. The “Ute Proud” observance is Oct. 12 vs. Arizona and the Utes will wear their throwback jerseys and helmets for homecoming vs. USC on Oct. 20. Coach Kyle Whittingham keeps promising to issue a depth chart Friday, although the school's weekly news release says that won't happen until Monday. In any case, with next Thursday's opener approaching, the two-deep roster is taking shape. Maybe it's just my intrigue about how freshman quarterback Jack Tuttle's career will unfold, but my eyes will go immediately to the No. 2 QB spot to see whether Tuttle or redshirt freshman Jason Shelley has emerged. The other offensive position of interest is left guard, where Nick Ford or Orlando Umana will be named the starter. Coaches have said both of them likely will play a lot in the first couple of games to extend the competition. Whittingham, who rarely discusses injuries, said fourth-year junior Johnny Capra has not practiced this month, after being a projected starter on the offensive line. Kickoff returner also will be interesting; Britain Covey has been in the mix with Demari Simpkins, Julian Blackmon and junior college transfer Derrick Vickers. We’ll also find out where BYU transfer Francis Bernard fits into the linebacking corps. He might be listed as Chase Hansen’s backup at rover. (Rick Egan | The Salt Lake Tribune) Utah quarter back Jack Tuttle (14) during practice, Wednesday, Aug. 15, 2018. I thought it was significant for the Ute players to vote junior quarterback Tyler Huntley as one of the team’s co-captains last week, as I explain in this story. In addition, nine players were named to the team’s leadership council: Jackson Barton, Jameson Field, Simpkins, Bradlee Anae, Leki Fotu, Blackmon, Terrell Burgess, Covey and Tuttle, who’s the only freshman in the group. Anyone who has fretted about Utah's troubles inside the 20-yard line should like this development. 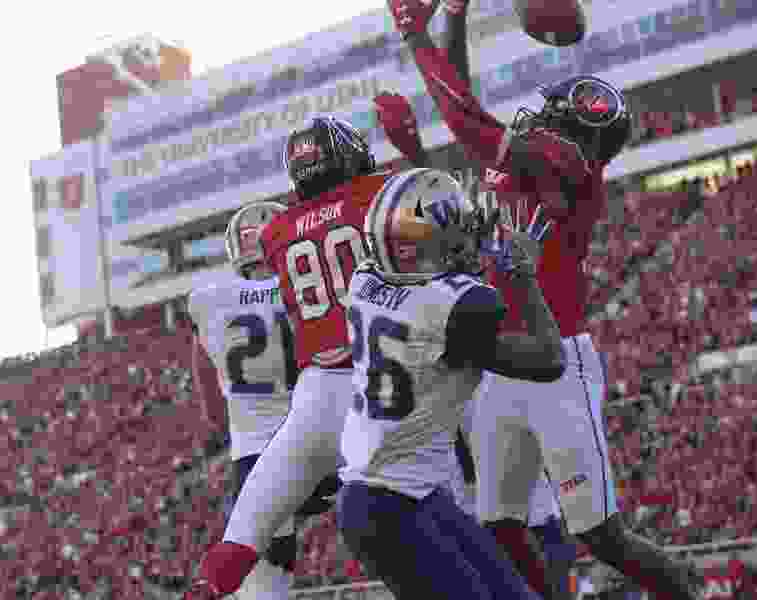 Picture the Utes having a 6-foot-8 receiver catching passes lobbed into the end zone. Darren Jones is a four-star prospect who committed to Utah this week. He's from Cajon High School in San Bernardino, Calif.
Jones' commitment is an endorsement of offensive coordinator Troy Taylor, a sign of belief that the Utes are developing a respectable passing game. Krystkowiak also spoke energetically about his 2018-19 team, with a bunch of newcomers. “It's a lot of fun to work with this group and there's a lot of eager guys,” he said. The Utes' influx of talent has “got to turn into wins at some point,” he said, noting that his roster of capable players should go 10 deep, enabling the Utes to play pressure defense and run more. He also knows that a nonconference schedule with the likes of Minnesota, BYU, Kentucky and Nevada will create urgency in the program, with practice starting Sept. 27. “We’ve got to do a better job from a coaching staff perspective to be better, earlier,” Krystkowiak said. • Former Ute softball star Hannah Flippen, now an assistant coach, has been selected to play for the U.S. Women’s National Team in the Japan Cup, Nov. 2-4. Flippen was the star of the U.S. Blue team that finished third in the International Cup in July. • The Utes' No.-19 ranked volleyball team will open the season Friday (7 p.m.), facing UC Irvine at the Huntsman Center in the Utah Volleyball Classic. On Saturday, the Utes will meet Saint Mary’s at noon and Denver at 7 p.m.
• The Ute soccer team (1-1) plays at Utah State on Friday. Utah opened the season last week with a 1-0 loss to Minnesota, then beat Weber State 2-0. The Tribune will publish its annual College Football Preview section Sunday. I’ll just say Whittingham will be a prominent figure. If you’re not a print subscriber, this would be a good weekend to look for a copy to savor. All of the stories will be on sltrib.com, of course. Red All Over is The Salt Lake Tribune’s Tribune’s weekly newsletter covering University of Utah athletics. To receive it, subscribe here.